Nollywood actress Regina Daniels recently shared pictures of herself in her matriculation gown on her Instagram. Now, according to exclusive information gotten, we can authoritatively confirm to you that she’s currently studying Mass Communication at Igbinedion University, Okada in Edo state. 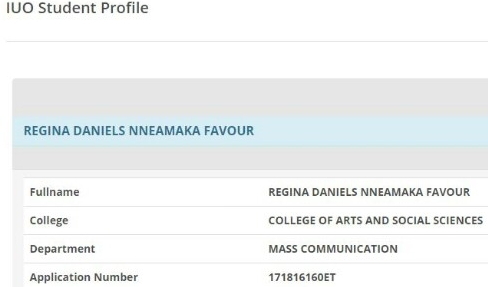 Now, here’s the catch, the source revealed, that the management of the Private University queried and sanctioned the actress for not attending lectures for a whole 1 month after her resumption.. Details of the sanction wasn’t fully revealed to us. 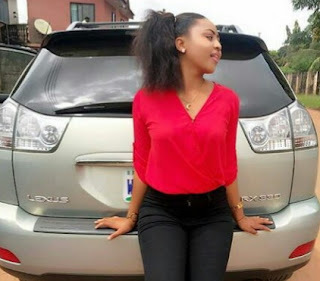 The source further alleged that she drives a Lexus SUV to attend lectures, and stays in a beautiful hostel within the school premises. She reportedly acquired the brand new Lexus SUV during her first week of resumption. If this girl can crown her beauty with academics the sky will be her limit. Beauty alone can not get her up there; she must be a brain as well if not the sugar daddies or play boys with sugar coated tongue will mess her up. Her parents better advise her well instead of her mother pushing her into acting without anything as backup incase acting does not work out well. I don’t think she enrolled to acquire knowledge in the first place,only to be recognized as a graduate,just like many Nigerians are doing and majority of the serious ones are frustrated by our Education sector as wanted by the government, from strike to lack of equipped schools. That’s where the government start to destroy the youths, after spending decades,then graduated to become confuse. Don’t the tertiary Institutions provide orientation sessions to new students to acquaint the students with the dos and donts expected of them by the school? Usually the minimum percentage of attendance at lectures before a student is eligible to participate in examination is part of the provided information. The girl should try and comply because gaining admission is only the first step to possible success and not an end in itself. Wish her the best. Flaunting your riches on campus does it make good vibes. A young girl below eighteen 18 is already driving a big car on campus. A fresher indeed, who needed to build a GP Grade Point in school. Baby girl you have bad adviser. Their is time for everything. Stop all vainglory and concentrate on your academics first. Fetch knowledge first before making any endeavor on life. baby girl,suspend all your celebrity and fame for now and humble down like a commoner in the name of succeeding in your academic career.Remember fame without a career is insufficient as time will prove it! 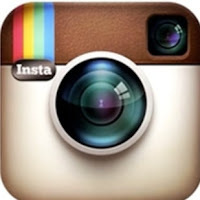 Make the best use of your youthly time today and we’ll for ever be proud of you.